Two people were taken to local hospitals after being injured in a crash on a New Hampshire bridge Tuesday morning. Manchester Police said the crash happened just before 11 a.m. on the Biron Bridge. 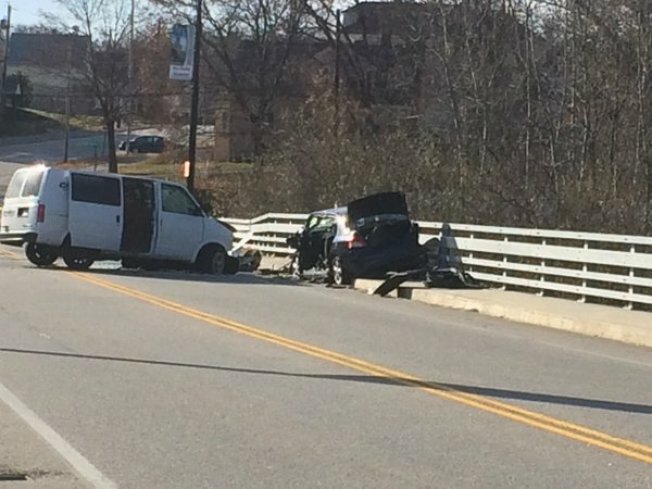 Manchester Police said a preliminary investigation indicates that a 2004 Chevrolet Astro Van driven by a 43-year-old woman from Manchester was headed east across the Biron Bridge when it traveled into the westbound lane and collided with a 2008 Toyota Yaris driven by a 28-year-old woman from Manchester. Both drivers sustained serious injuries and were taken to area hospitals. The crash remains under investigation. Anyone with information is urged to call Manchester Police at 603-668-8711.